Noodle Factory – Montreal Series | ohdenny. Noodle Factory in Montreal’s Chinatown is one of the more favourable restaurants in Chinatown and it’s one of the reasons why we were curious to dine there. 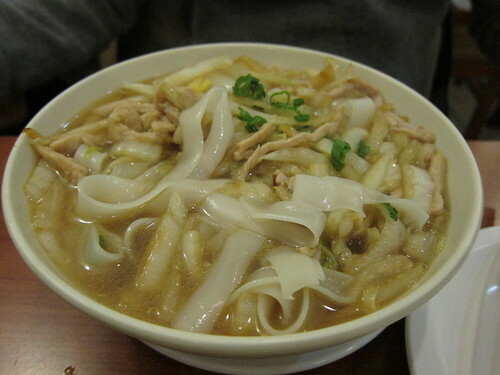 Noodle Factory is a incredibly small restaurant, but nonetheless a popular eatery. 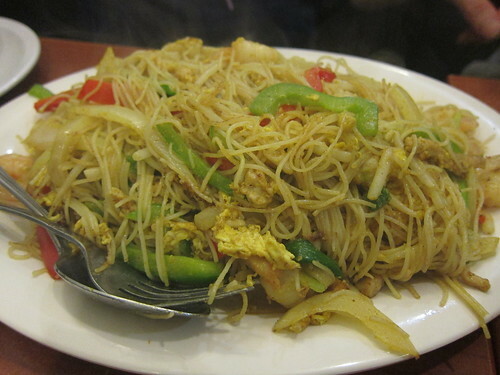 As being in Chinatown it serves Asian cuisine, and in particular offers a variety of noodle dishes to choose from. Noodle Factory’s Singapore Fried Noodles reminded me of those Chinese Food take-away meals, with it’s generous use of curry powder. It isn’t something I would order again though. 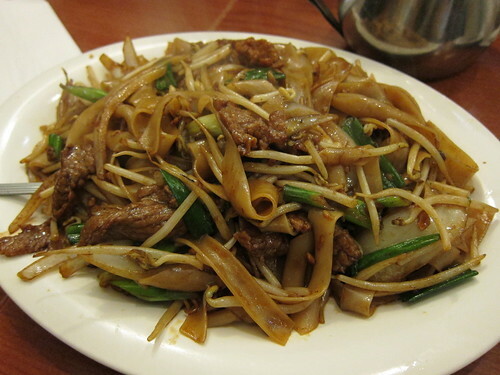 Their Beef Hor Fun was interesting in that the noodles itself were not the soft flat rice noodles I’m used to. The noodles here are a bit denser, with more bite so it’s actually quite different to the Beef Hor Fun’s I’ve tried before. Flavour wise, it didn’t standout or have the signature “hot wok” flavour you would tend to get with this dish. However, for just a meal to fill you up this would be sufficient. Maybe my tastes are just so disparate from the locals considering the positive reviews by most compared to mine. Or we just lucked out with the three dishes we tried.